Today in Masonic History Charles Montagu-Scott, 4th Duke of Buccleuch is born in 1772. Charles Montagu-Scott, 4th Duke of Buccleuch was a British peer. Montagu-Scott was born in London, England. From birth he was the Earl of Dalkeith. For his education he would attend Eton College and Christ Church in Oxford. Montagu-Scott was a member of the Marylebone Cricket Club (MCC). The MCC was found in 1787. The MCC until 1993 was the governing body of cricket in England, Wales and Worldwide. It also holds the copyright on Laws of Cricket and periodically updates them. 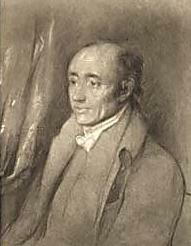 Montagu-Scott appeared in four cricket matches in 1797. From 1793 to 1807, Montagu-Scott would serve in Parliament. He would serve from 1793 to 1796, and from 1806 to 1807 for Marlbourough. He would represent Ludgershall in 1804. In 1805 and 1806 he would represent Mitchell. In 1807, Montagu-Scott was summoned to the House of Lords by a writ of acceleration. British law allows that a Lord who holds multiple titles may enable his oldest son and heir apparent of the peerage to attend the House of Lords. The general idea is to enable the House of Lords to lower the average age of the House and to gain a new pool of talent. It also has the effect of keeping the exclusivity of the noble titles. Montagu-Scott married Honourable Harriet Katherine Townshend on 24 March 1795. The couple would have 7 children. Two would pass away before turning 18. The Duchess of Buccleuch would pass away in August of 1814. Montagu-Scott would pass away in Lisbon, Portugal from Tuberculosis on April 20th, 1819. Montagu-Scott was the Grand Master of Scotland from 1800 to 1802.